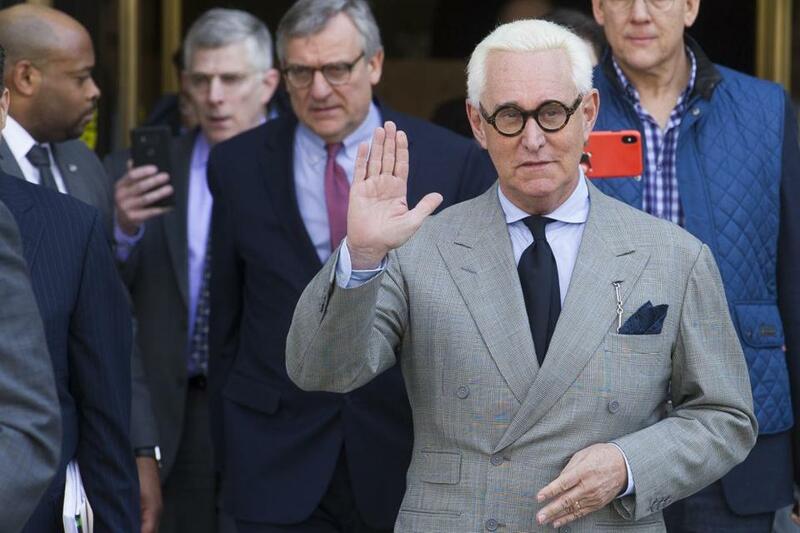 Roger Stone, an associate of President Donald Trump, left US District Court after a court status conference on his seven charges on March 14. ‘‘To be clear, Stone is not requesting the Report be disclosed to the world - only to his counsel so that it may aid in preparing his defense,’’ the lawyers wrote. In a four-page letter to Congress that detailed Mueller’s ‘‘principal conclusions,’’ Barr said the special counsel did not find a criminal conspiracy between Russia and Trump associates during the campaign, but did not reach a definitive conclusion on whether Trump obstructed justice. Instead, Mueller presented evidence on both sides of the obstruction question, but Barr said he did not believe the evidence was sufficient to prove that Trump had obstructed justice.